Product #15460 | SKU EK1767136T | 0.0 (no ratings yet) Thanks for your rating! 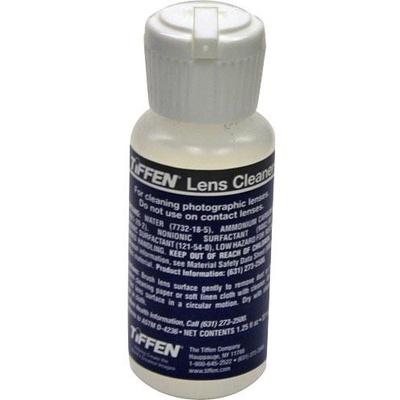 Tiffen Lens Cleaner is the best way to keep all your filters clean and in tip-top shape. Gets rid of all the fingerprints, grime and smudges which always seem to accumulate on glass surfaces. Clean filters mean sharper images and more successful photographs.